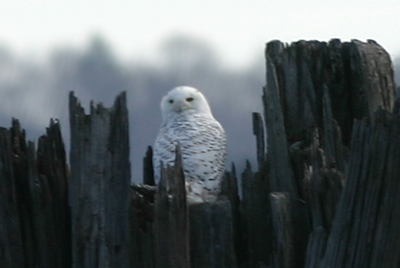 January 21 – Mike spots his life Snowy Owl in Piermont, NY. January 25 – Charlie enjoys the sight, though not the smell, of a field full of Townsend’s Warblers feeding on insects in rotting sprouts south of San Francisco. February 26 – Corey spots his life Ivory Gull, not to mention the famous Snowy Owl in Piermont, NY. Mike misses said gull. 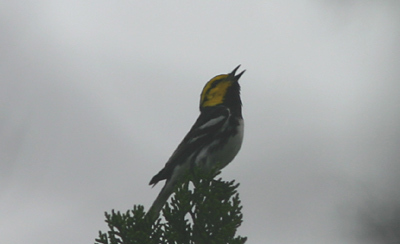 March 22 – Mike chases down an elusive Golden-cheeked Warbler in Texas with David of Search and Serendipity on a brilliant Four Sparrow Day. April 28 – Charlie gets excellent views of two lifers, Agulhas Long-billed and Agulhas Clapper Larks, near Cape Town. June 10 – Mike, Corey, Will of The Nightjar, and Patrick of The Hawk Owl’s Nest hike up a mountain in the middle of the night to bag Bicknell’s Thrush. Mike finally faces his nemesis bird, the Ruffed Grouse. July 6 – Corey is the first to find the errant Yellow-headed Blackbird at Jones Beach. Nice work! September 11 – Charlie finds his life Cretzchmar’s Buntings in a Tel Aviv park. Our top moment of 2007, the crowning achievement in a year rich with success and adventure, was most definitely turning 10,000 Birds into a group blog. This grand collaboration not only makes blogging a more enjoyable enterprise (at least for me) but it frees all three of us up to spend more time in the field, which is what we really enjoy! As usual, I’m not going to tag anyone specific with this meme but I’d love to hear other top tens. End of year is the ideal time for retrospectives like this so if inspired to revisit your top 10 nature moments of 2007, be sure to leave a link in our comments as well as Tai’s seminal post. many great moments for sure and glad you are getting help with this! It isn’t easy doing it all by yourself!